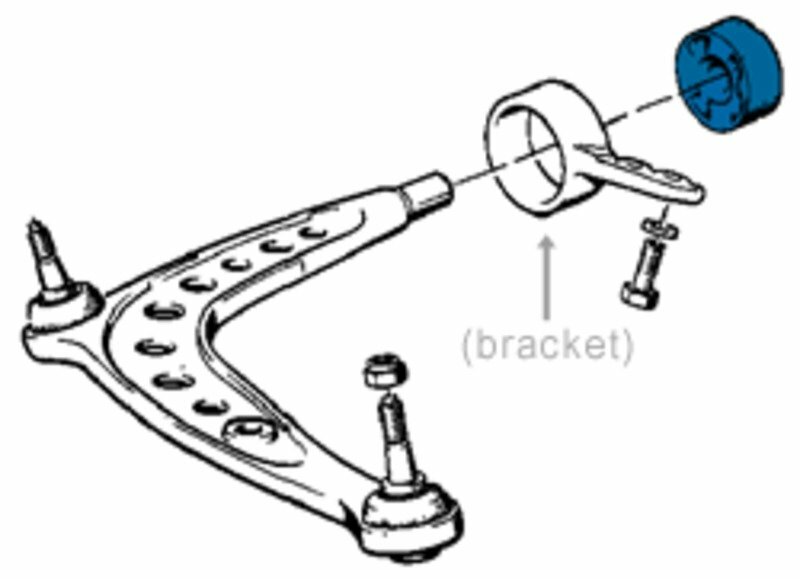 Anytime that you replace your front control arms you must replace your control arm bushings. The reason is because it's hard to tell if you're bushings are really bad and they are often destroyed when removed. These are the control arm bushings from the 1996-1999 E36 M3 and have the hole in the center. 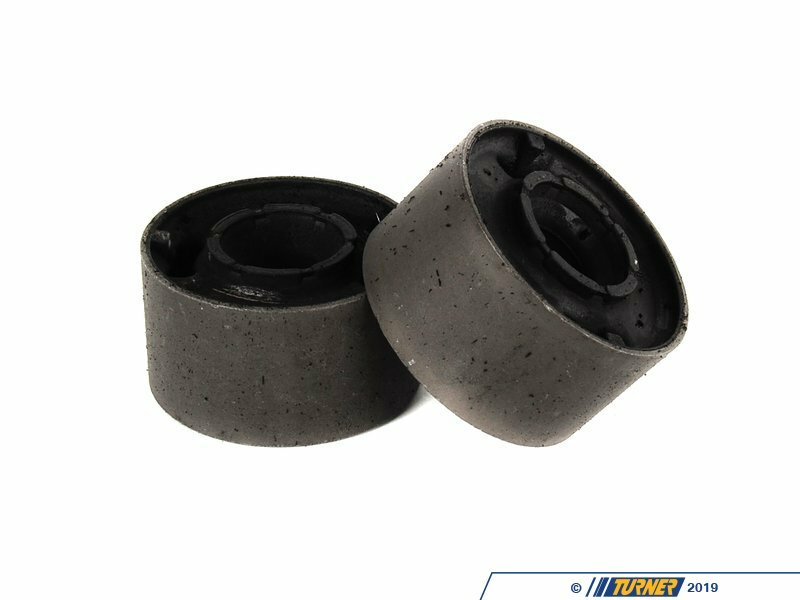 These are the stock bushings bushings from the 1996-99 E36 M3 and MZ3 but are a great upgrade for any E30 - 318/325, E36 - 325/323/328, and Z3 -1.9, 2.3, 2.5, 2.8, 3.0. They have more rubber than the non-M stock bushings. 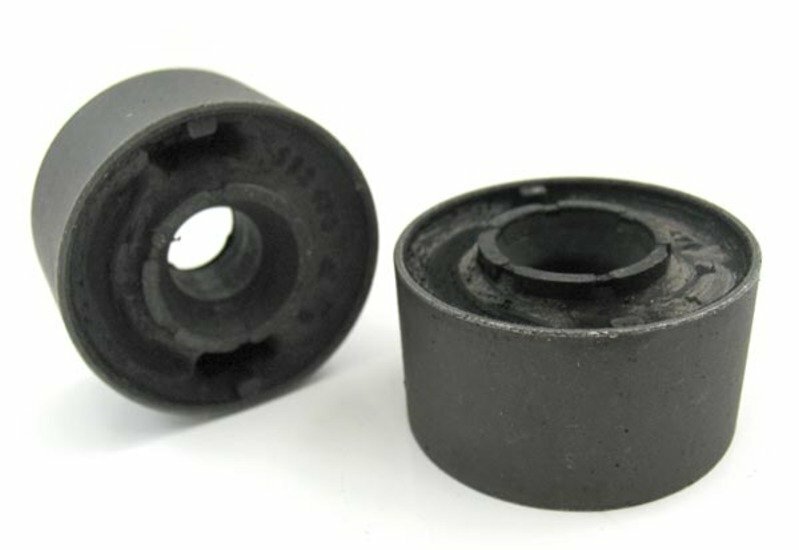 We have found the increased volume of rubber helps the bushings last longer and have better steering response due to less deflection of the bushing. These bushings can actually help reduce vibrations produced by the mass of larger wheels or brakes.